What is hardscaping? Learn all about what is considered to be "Hardscaping"
With the surging popularity of renovation television and HGTV deck-building shows, we’ve seen all sorts of different landscaping crazes come and go over the years, each accompanied by their own unique buzzword. While some of these trends are nothing more than short-lived fads, others end up manifesting into well-defined movements, sometimes even carving out their own little niche within the industry. We’re going to take a look at one of those movements today as we discuss the ins and outs of hardscaping, and what this increasingly popular style of landscaping can bring to your backyard! 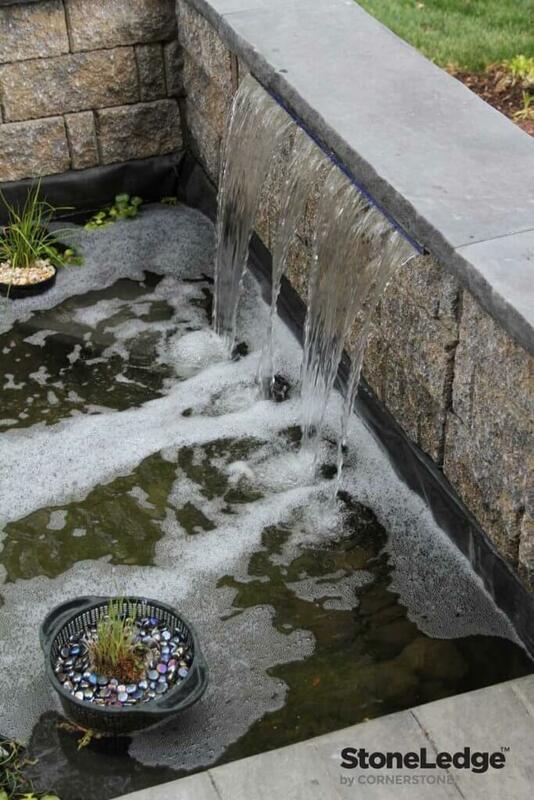 Let’s explain what is hardscaping. While the word “hardscaping” might simply sound like a more-difficult variation of landscaping, it’s actually a fairly unintimidating practice that’s essentially just soft landscaping, but with blocks, paving stones, rocks, or anything else that’s considered “hard” to the touch. Hardscaping allows you to create long-lasting, “hard” elements within your yard, to add both style and functionality to your outdoor space. 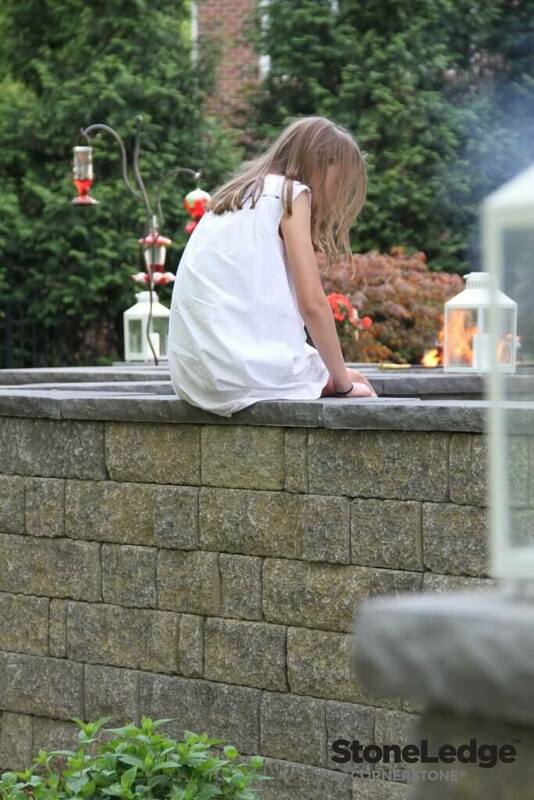 Hardscaping blocks come in every shape and size imaginable, meaning you can build nearly any outdoor landscaping element you can think of with relative ease – the sky’s the limit! With hardscaping, building that welcoming , that tranquil , or the inviting you’ve always dreamed of suddenly becomes a possibility. 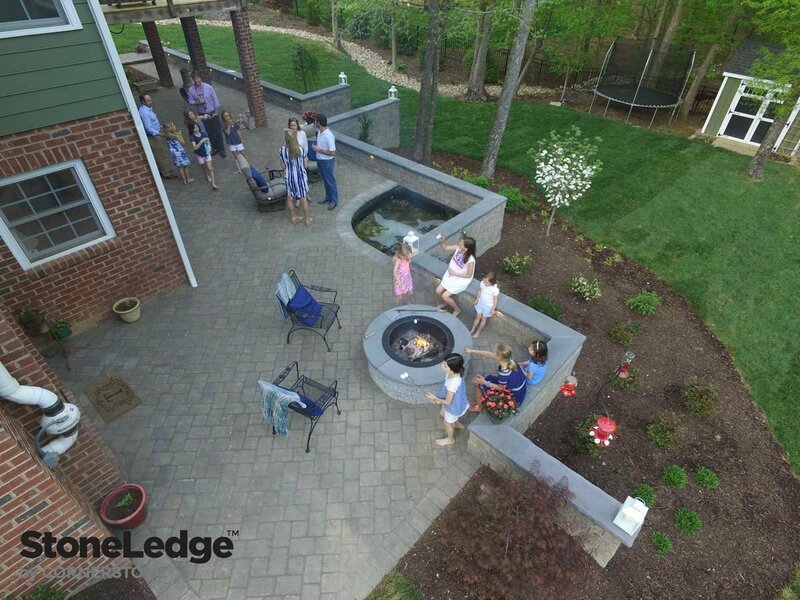 You can finally get the backyard you want, all while maximizing your lawn space and adding stylish modern elements, such as seamlessly flowing your retaining wall into a beautiful seating wall, to your outdoor area. Best of all, you can do it on your own at your leisure adding elements when needed or hire a contractor and get it done all at once. Once completed, it’s maintenance free. Just build it and Enjoy! There’s nothing quite like the prospect of being able to easily access the entirety of your yard space, made possible by the simple installation of a beautiful new set of landscape stairs. Summer’s never been so exciting! Incredible Usability. 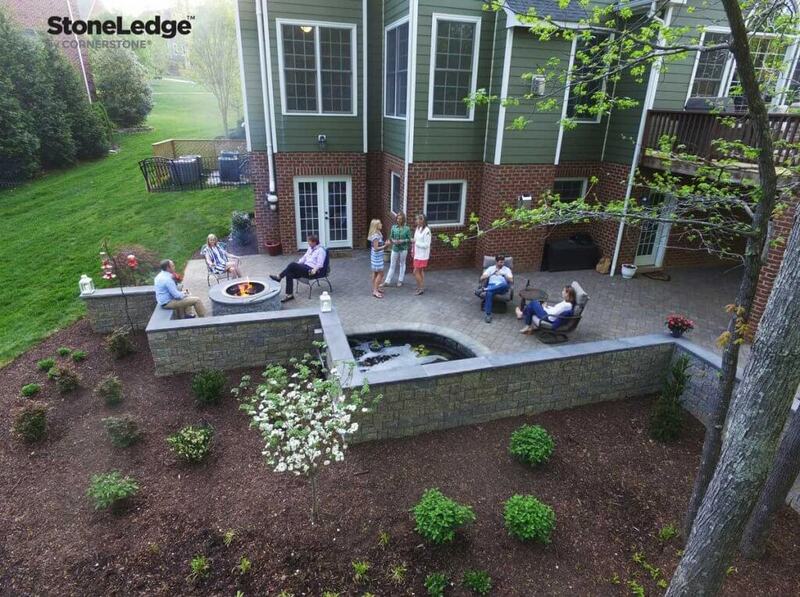 StoneLedge blocks come in 3 standard size and 2 different heights and many colour (check with your local producer) – so, if you can dream it, you can build it! 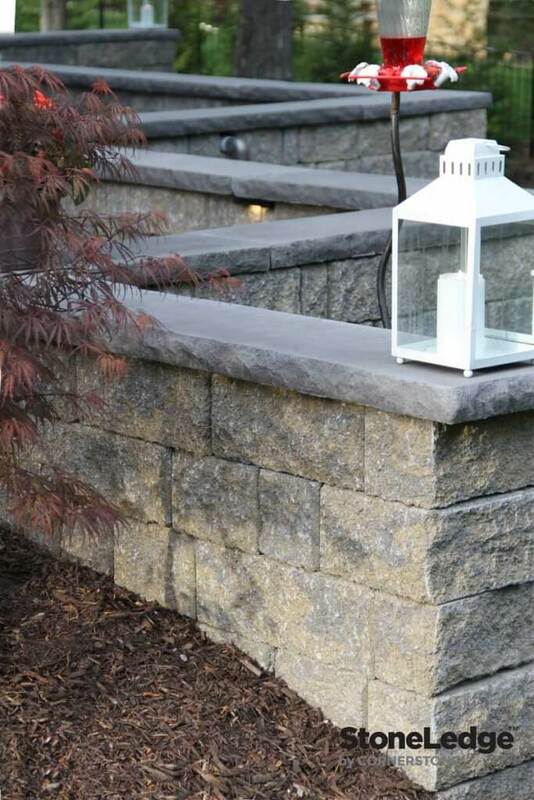 Even creating a set of backyard stairs is easy with the flexibility and utility that our StoneLedge blocks offer. Versatile Connector. 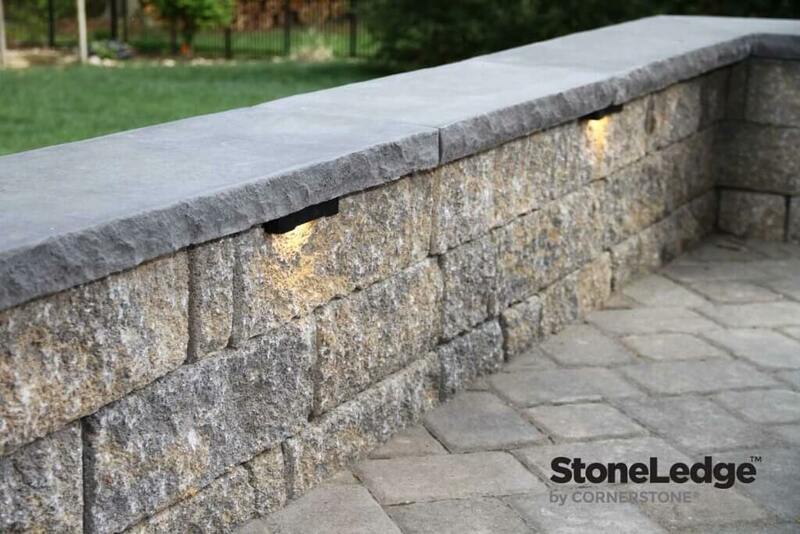 With a simple flag connector, the versatility of the StoneLedge & StoneVista blocks is outstanding. 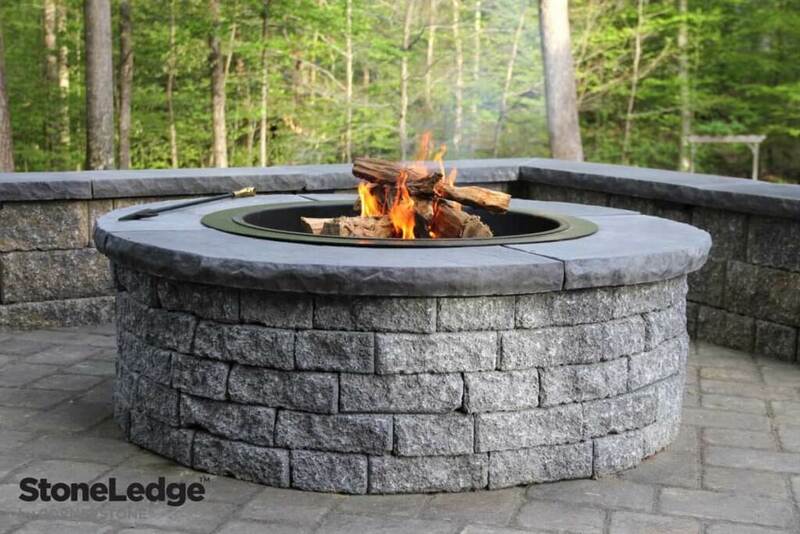 Using this product, you can build free standing seating walls, retaining walls, BBQ areas, fire pits, columns (pillars), stairs and much more. Your design options are endless because of the versatile connector. 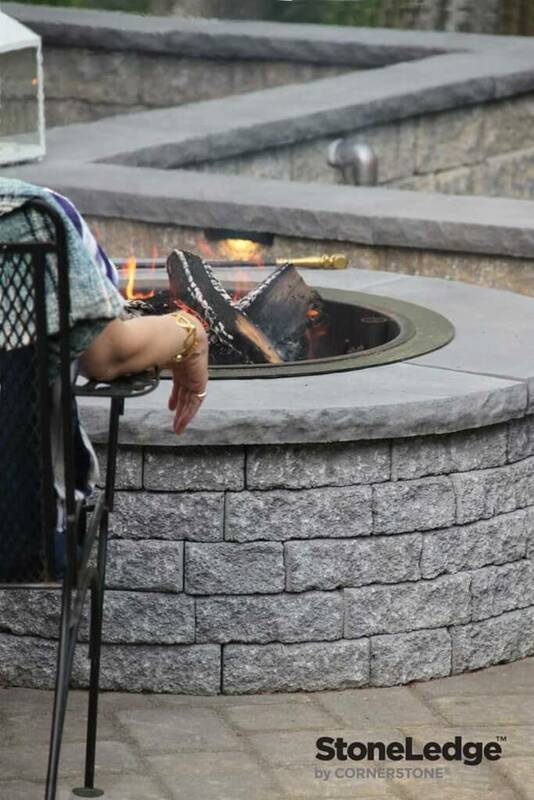 Long-lasting Because they’re made with concrete, our StoneLedge & StoneVista blocks should last you a lifetime, meaning that if your hardscape feature is built properly, it should stick around for just as long! Wood rots and needs constant maintenance, while other sorts of building materials can contain harmful or unnatural chemicals. 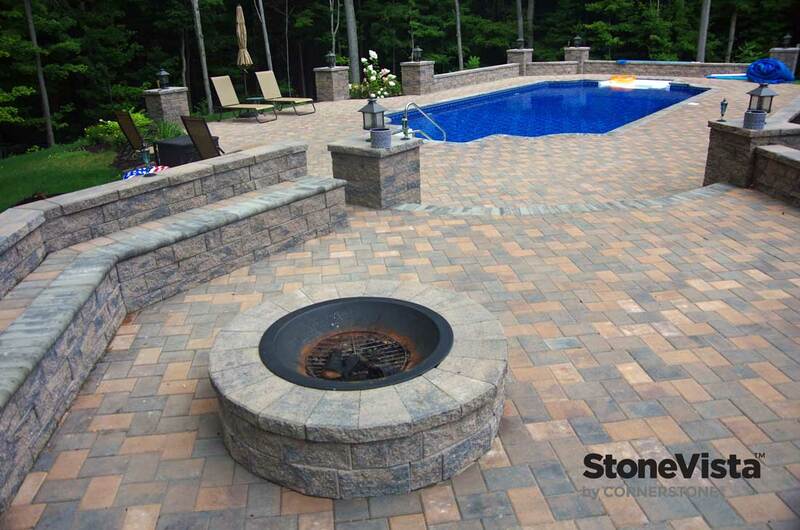 Our products are solid, maintenance-free, and built to stand the test of time. 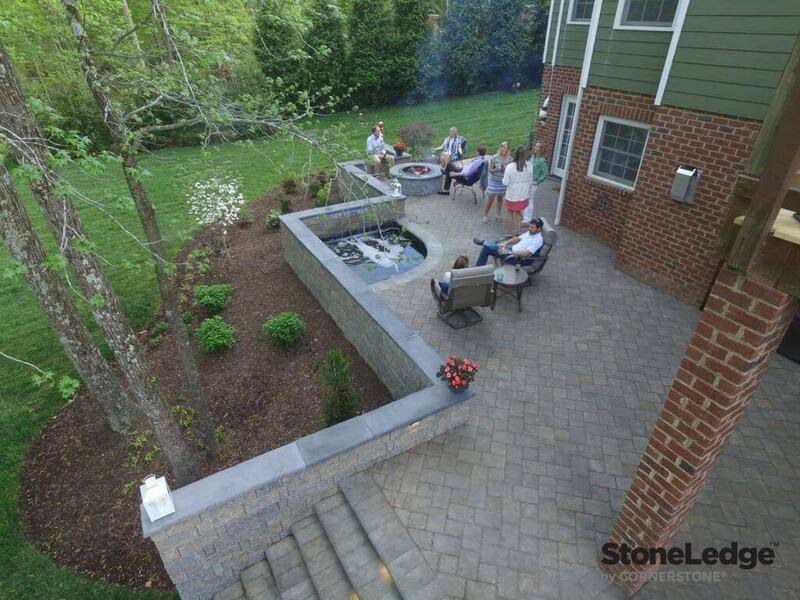 If you’re looking to bring some newfound functionality to your backyard this summer, consider looking into the stylish world of hardscaping. 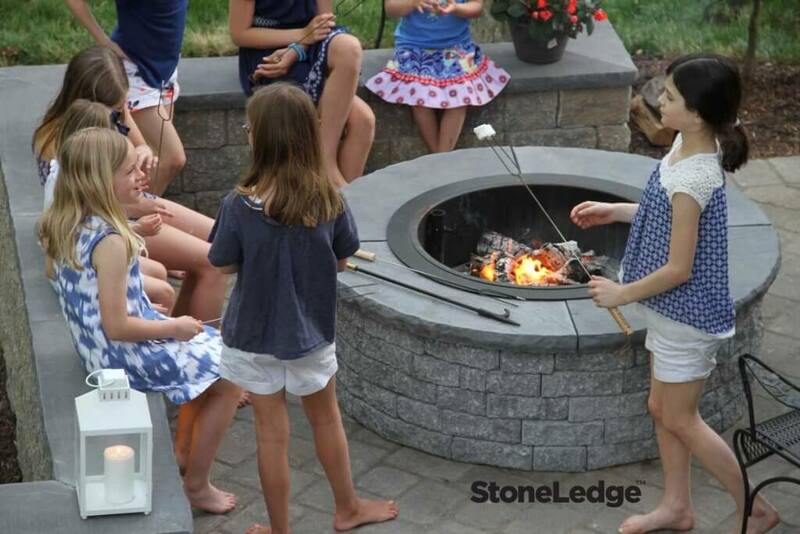 Our line of StoneLedge products makes it easy to build the backyard of your dreams, and can be found at many of our Producers or producer dealer locations. Check it our Where to buy. Happy building! © Copyright CornerStone Wall Solutions Inc. | All Rights Reserved | Design by CornerStone Wall Solutions Inc.